A skirt that won’t blow up! 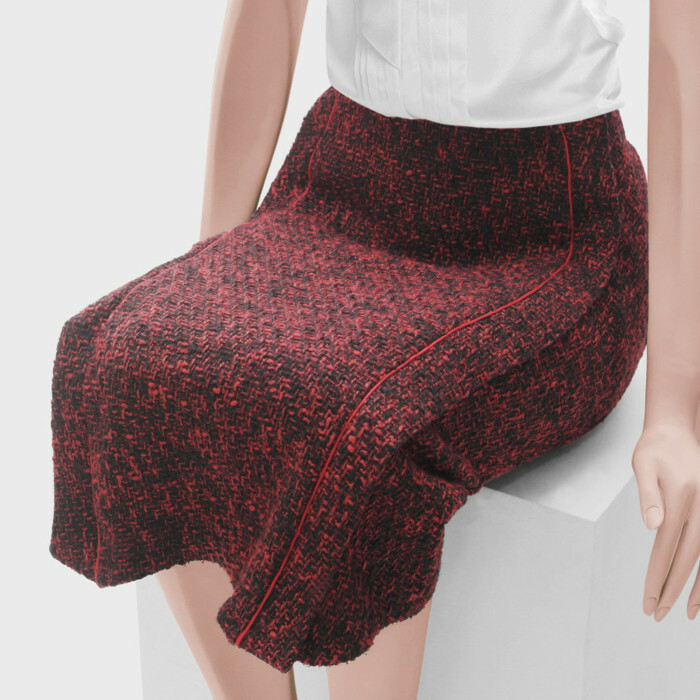 This tulip skirt has a clever cut: small pleats from the yoke create width, but it’s narrower around the knees. And of course the back is smooth! 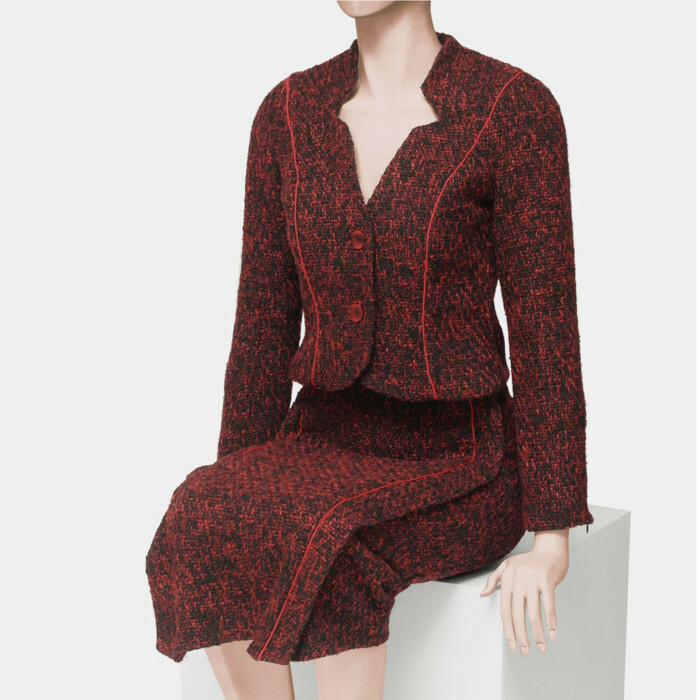 The back of the skirt has been kept smooth, and is cut high and elasticated for adjustability, while the front sits low and doesn’t gather in the groin area.
! This skirt is not really made for walking. The material will stretch to allow making steps, but may soon start to form an unflattering bubble on the bottom.